The Mermaid of Camaes Head and how she saved a fisherman's life. Why Twm Shon Cati, who some called The Welsh Robin Hood, was the scourge of Llandovery. A smuggler's secret at Culver Hole where the King's Revenue Men feared to go. Discover the Treasure of Craig-y-Ddinas, a story of one man's profit and greed. Learn why there's a Sleeping Prince beneath the ramparts of Carreg Cennen Castle waiting for the clarion call to arms. Why the men who called themselves Daughters of Rebecca burned gates and challenged evil profiteers. The fate of Nest, the Temptress of Cilgerran and how she tricked her husband. Why the Lady of Llyn y Fan left her husband and walked into a lake, never to see him again. How The Wreckers of Cefn Sidan murdered a French Emperor's niece. Why William Paxton, a wealthy Scotsman, built a strange folly to spite the people of Carmarthenshire. And why Sir Owain's Lake sits on the top of a mountain. The folklore of Wales and its history are interwoven with myths and legends that cross the centuries. Some are based on factual events, others have mythical roots, but all are entertaining. 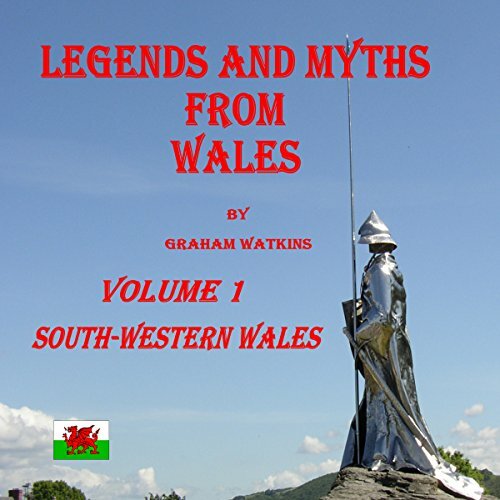 Download the audiobook today and delight in these magical Welsh legends.